Lucie Raine is an award-winning photographer and marketing consultant with a passion for capturing the poignant moments in everyday life. With specialties in portraiture, commercial photography, website development, and social media management, she enjoys applying the art of photography for business and individual needs. Lucie has enriched her diverse photography portfolio with an extensive set of skills that delve into marketing and social media management. Lucie was born in North Dakota but eventually settled in Alamogordo, New Mexico, where she now happily resides. Her father’s military career provided her with the chance to explore new places and cultures. Through this childhood experience, she developed a desire to capture fleeting moments. She has come a long way from her pink pocket camera that started the journey of capturing still life images. Her techniques were sharpened at New Mexico State University – Alamogordo where she studied business, photography, and photographic technology. She furthered her education at Eastern New Mexico University studying business administration and management. Lucie has learned portraiture, lighting, and creativity techniques from masters in photography. She spent three years studying digital photography, portraiture and darkroom techniques, as well as 35mm black and white photography, her greatest passion. She continues to embrace every opportunity to nourish and develop her knowledge of photography. Inspired by her favorite photographers, including Sally Mann and Paul Caponigro, Lucie’s obsession is to capture the often overlooked details of ordinary things such as the veins of leaves or the textures in the petals of a flower. She also enjoys documenting the fleeting moments and details of her children’s lives as they grow and change. She has a knack for capturing honest unguarded moments and genuine human emotion. Lucie creates compelling photographic images for business promotions and products. She also captures those once in a lifetime moments and unique still life images that speak to the heart. Lucie has been fortunate to work with a number of remarkable clients and mentors to help guide her path. She has always been a free spirit with an eye for the remarkable within the mundane. Her talents have been honed to unleash this potential for her clients. 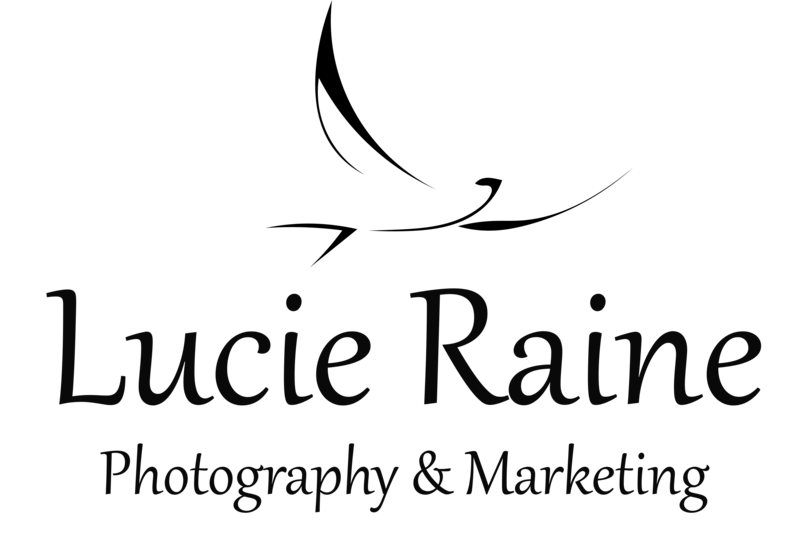 Lucie Raine Photography & Marketing, LLC is dedicated to preserving and promoting the art of photography. We are committed to using photographic images to positively impact the community.